Gregory S. Rohrer is the Head and W.W. Mullins Professor of the department of Materials Science and Engineering at Carnegie Mellon University. 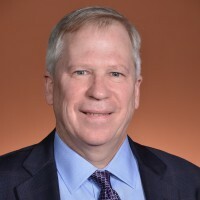 Rohrer received his Bachelors degree in Physics from Franklin and Marshall College, his Doctoral degree from the University of Pennsylvania (where he also conducted post-doctoral research) and joined the faculty at Carnegie Mellon in 1990. His research has the objective of developing structure/property relationships for polycrystalline materials used in structural, electrical, and catalytic applications. He is currently involved in research on crystal growth, surface photochemical reactions, and the relationship between interface properties and the microstructures of ceramics and metals. He has authored or co-authored more than 300 publications, include a textbook on structure and bonding in crystalline materials. Rohrer is a fellow of the American Ceramic Society and his research has been recognized by a number of awards including the Richard M. Fulrath Award, the Robert B. Sosman Award, and the W. David Kingery Award, all of the American Ceramic Society. In 2011, Rohrer served as chair of the University Materials Council.